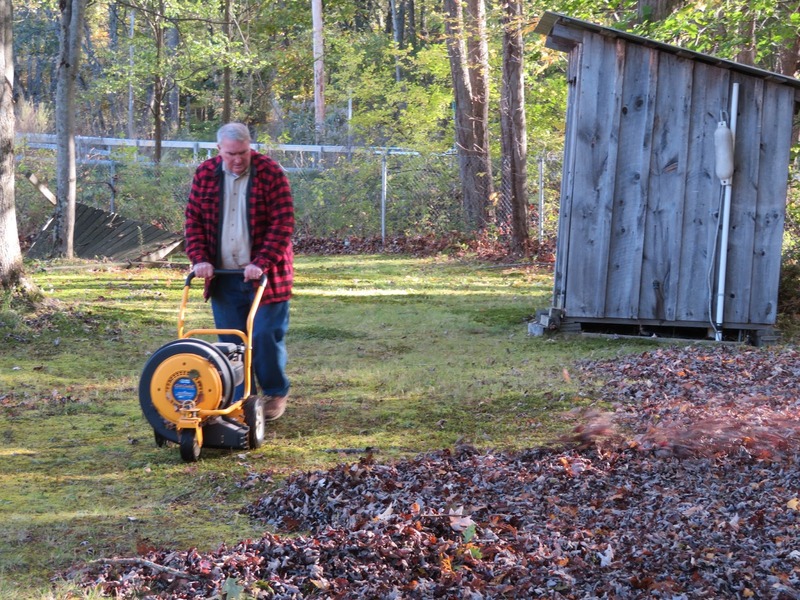 Outgoing Division 2 Commander and Flotilla 2-6 member Mike Kennedy clears leaves from the grounds of Base 2-6 on October 21st, 2017. 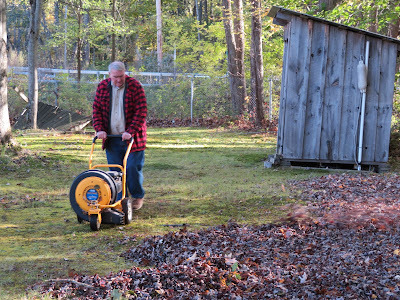 A late start to the fall meant that there were fewer leaves on the ground than usual. Many Flotilla 2-6 members stored outdoor furniture, raked leaves, and removed dead trees from the grounds of Base 2-6. Others folded and removed furniture inside Base 2-6 and gave the base interior a thorough cleaning. 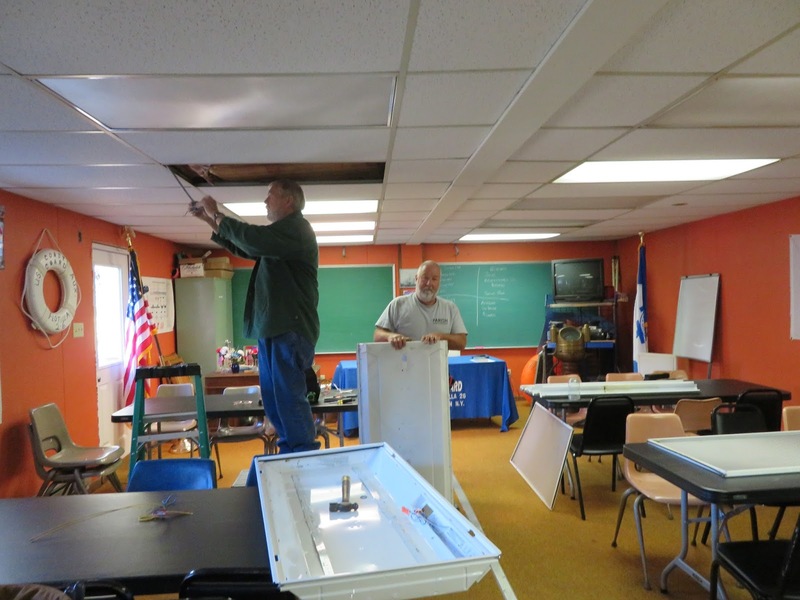 The annual fall cleanup day included maintenance to indoor light fixtures. During the winter, Flotilla 2-6 meetings will be held at the Utica Public Library.